We were approached by Peter Granville of Broadsword Security Services, one of our clients in the security industry, and he asked whether we could find a new professional security engineer to join his firm. This is a highly specialist role and our client wanted an engineer with considerable experience in this industry. 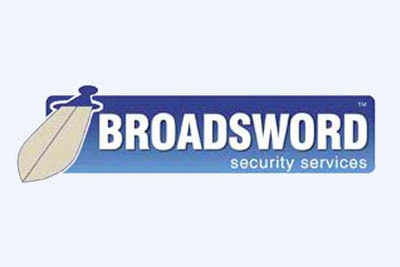 Broadsword Security Services have been protecting people and property throughout Oxfordshire and the surrounding counties since 1985. They supply, install and maintain intruder burglar alarms, fire alarms, CCTV, automated gates, and access control systems. Calum's team met with Peter at their premises to discuss the requirements of the role and also, as Peter's business has grown and they have moved to bigger offices, to soak up the atmosphere and culture of his successful business so he can better sell the benefits of moving there to potential candidates. As we maintain our databases of key professionals in many sectors, Calum immediately knew a few people who might be interested if the right role became available - but only where that would further their career and personal aspirations. One of our headhunted individuals was ready to consider a move and we are delighted to announce that after a few discussions and interviews, Kevin Woodward started his new role at Broadsword in January 2017. Although, occasionally, unhappy former candidates of ours do approach us to look for a new position, we would never actively headhunt an individual that we had previously placed into a client site ourselves - we believe that would be unethical. "I honestly didn't think they would be able to find and select such a specialist role so quickly," says Peter Granville, MD of Broadsword Security Services, "but I should have had more faith! After dealing with Jackie over many years, she and her team never fail to impress!" Kevin comments: "I had been considering a move for a couple of months before Calum contacted me but I wanted to make the right decision. Calum, in his very patient and friendly way, gave me the confidence to consider Broadsword especially with all of the opportunities to move my career forward."